So says Tony Biagi, winemaker at north Napa’s Hourglass and a celebrity in his own right, having made wines at Plumpjack, CADE, and other blue-chip operations. Now he’s got another feather in his cap in the form of Hourglass, a cult winery in the making, where a few years ago he replaced Bob Foley as winemaker. Hourglass is the brainchild of Jeff and Carolyn Smith. Jeff is a wine veteran with grapes in his blood — his family’s been making wine in the Valley since 1975. After a stint selling Skyy and watching it become a national phenomenon (Jeff says he came up with the cobalt blue bottle), he bought his first vineyard, planted mainly cabernet, and hasn’t looked back. 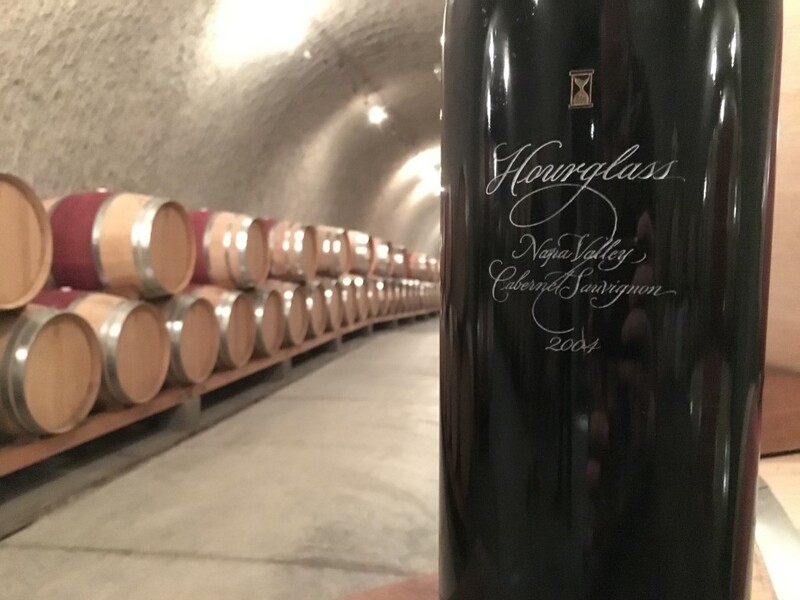 Hourglass now has 18 vintages under its belt, and with Biagi now holding the reins, the winery seems poised for greatness, with a series of coveted releases now under its belt. Biagi will talk your ear off about his research into balancing tannin with “bound color” in a wine while aiming to minimally manipulate his finished product, but the main event today surrounds tasting a collection of young and unbottled 2015 vintage wines, including single-varietal malbec, merlot, cabernet sauvignon, and cabernet franc (one of Biagi’s beloved pet projects), plus some pre-release blends made from these grapes. Some photos of this small but impressively well-designed winery follow, along with official tasting notes from three current/almost-released expressions of Hourglass’s cabernets from the 2014 vintage. Thanks to Tony and Jeff for a great day in Napa!